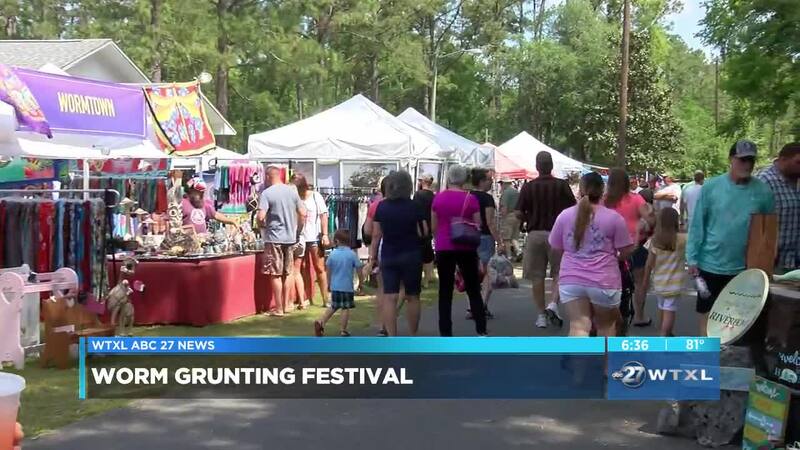 TALLAHASSEE, Fla. — The town of Sopchoppy got a lot bigger Satruday with people coming from across the nation to the 19th annual Worm Gruntin' Festival. The event highlights worm grunting, which is driving a "stick like piece" into the ground and rubbing metal on top to attract the worms to come to the surface. A lot of the time those worms are then used as bait for fishing. About 200 different types of earth worms were on display at the festival. The event raised money for the festival next year and will also put a few thousand dollars back into community projects.